Cormorants are medium to large generally attractive seabirds. The Spectacled variety was native to the Commander islands in the far northeast of Russia, in the Bering Sea. 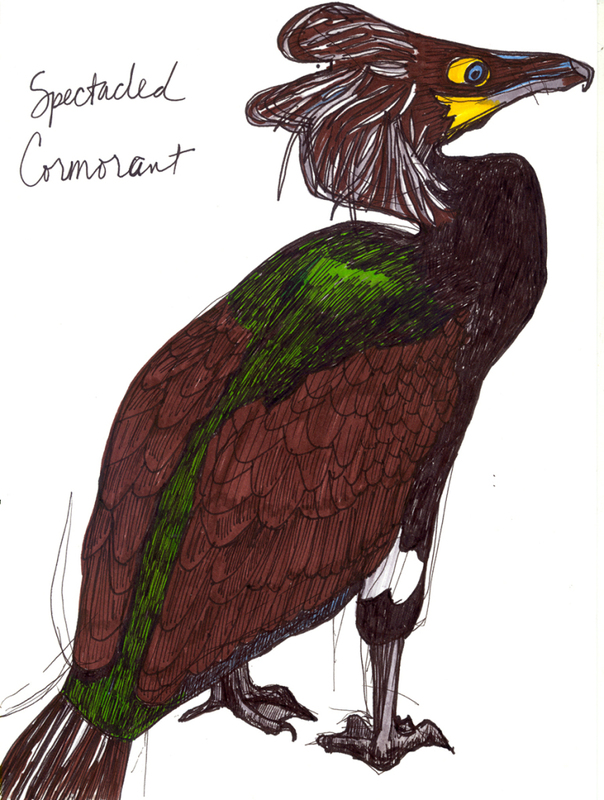 It was the largest species of cormorant known to have existed. The one person who described it called it “large, stupid, clumsy and almost flightless”. The area in which it lived was named in the eighteenth century for the Danish Explorer Vitus Bering, who joined the Russian navy in 1704 under Peter the Great, and was known for his two exploratory voyages to the area. His first trip earned him fame as a commander, and established that there was clear sea between the continents of Asia and North America at that point. His second trip, in 1741, was to go as far as the coast of North America and the Aleutian Islands of Alaska, to see if there was a land bridge anywhere linking Russia to Alaska. Vitus and 28 of his crewmen died of scurvy on that trip, but not before the ship’s resident botanist, zoologist, and physician, Georg Wilhelm Steller, had discovered, described, and apparently eaten a Spectacled Cormorant. Though cormorants are normally notoriously bad-tasting, Steller says that this bird tasted rather delicious when cooked in the style of the locals, a group of hunter-gatherer-fishermen called the Itelmens, who encased the whole bird in clay, buried it, and baked it in a heated pit. Georg Steller became famous as the first to describe a whole range of flora and fauna in the area, and is now considered an early expert in Alaskan Natural History. Steller survived the scurvy epidemic on board by consuming an assortment of leaves and berries that he gathered from the area. He offered this treatment to his fellow crew members, who scorned them, and then proceeded to die off. Steller and his assistant were some of the few crew members who survived the trip. Despite his best attempts, he was unable to save the life of the captain, and was left to nurse the few remaining crew members once the ship was wrecked on what is now known as Bering Island. While stranded, Steller took the opportunity to study the native topography, flora, and fauna, which he recorded in his journals, later published and used by other explorers of the Pacific, including Captain James Cook. The Bering Strait, Sea, Island, Glacier, and Land Bridge are all named after the unfortunate Vitus Bering. 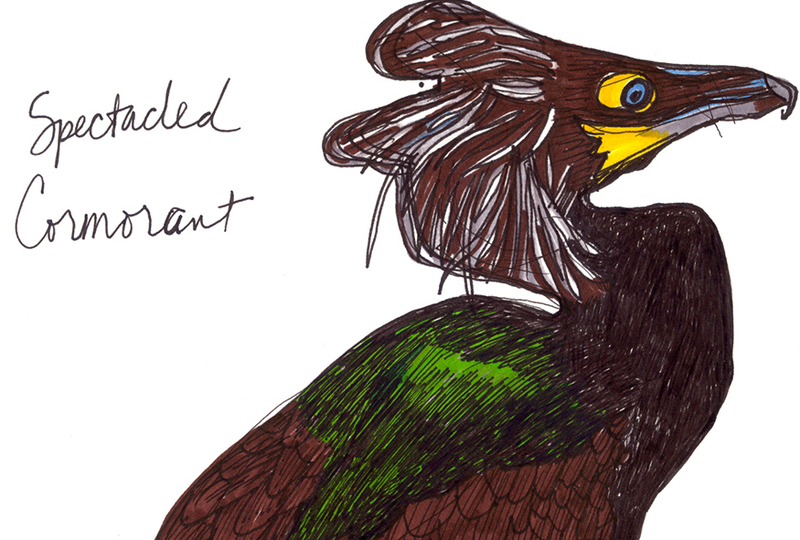 The Spectacled Cormorant received little attention once Steller returned home, and now one knows almost nothing about it, other than its size and the fact that it ate fish. Whalers and fur traders came to the area in the years that followed, and they decimated the population of the birds in the name of food and feathers. 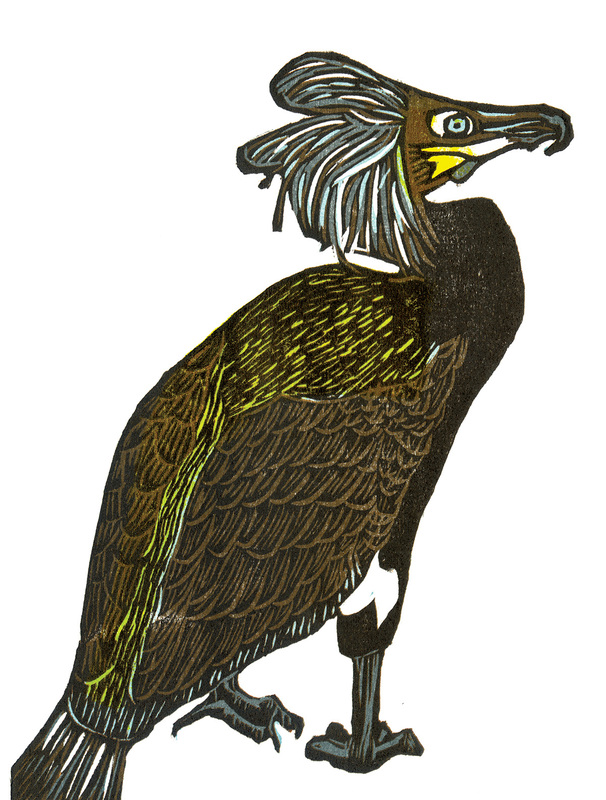 The last Spectacled Cormorant was seen in 1850 off the northwestern tip of Bering Island.